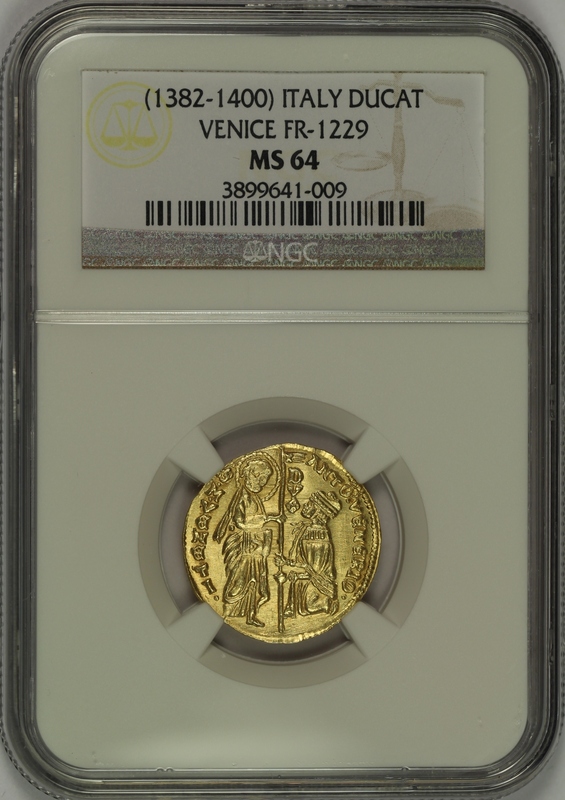 Here is a (1382-1400) Italy Gold Ducat Venice FR-1229 which has been graded MS64 by NGC and is encapsulated in one of the newer-style edge-view holders. This is a spectacular example of this type. 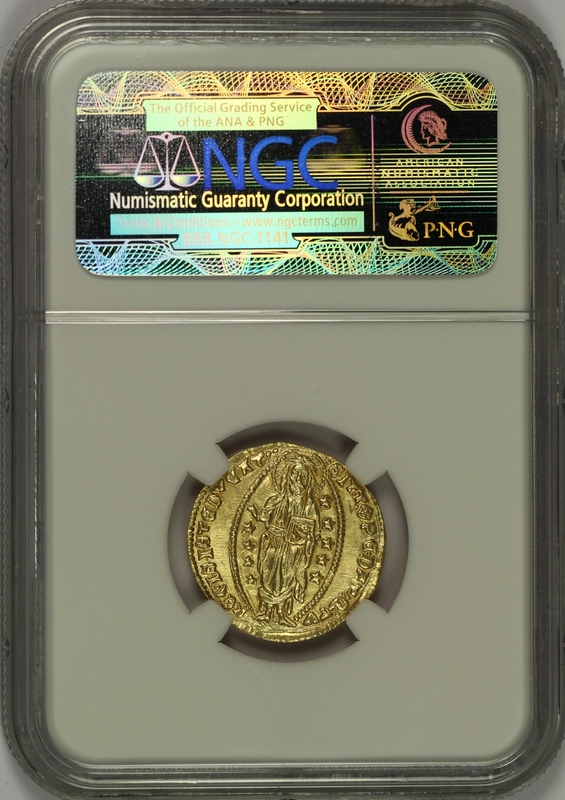 The coin is a bright lustrous gold with no discoloration or major issues of note. The coin is very well struck with all details exceptionally sharp. The images of Jesus Christ and of the Doge kneeling before St. Mark are fully detailed and very clear. The coin is nearly perfectly circular and the image is nearly perfectly centered. 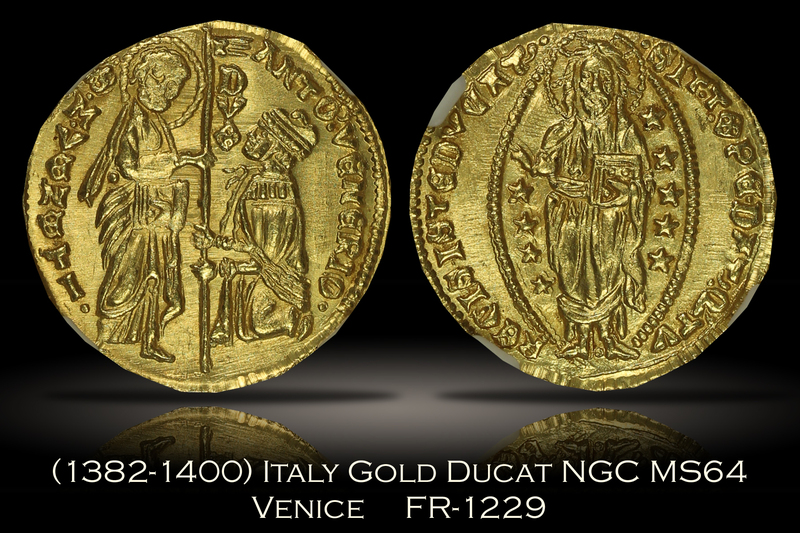 An amazing example of this popular 14th Century issue.